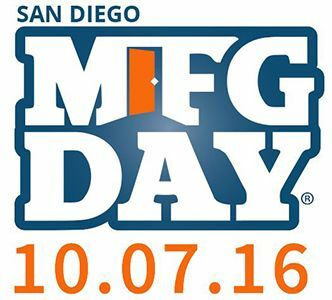 Eastridge Workforce Solutions is a proud sponsor of this year’s San Diego Manufacturing Day on October 7, 2016. Manufacturing Day is a national celebration of modern manufacturing meant to inspire the next generation of manufacturers. The San Diego Manufacturing Day will kick off with a breakfast featuring a panel discussion around local manufacturing issues hosted by the San Diego EDC. Throughout the day, different manufacturers will be hosting exciting tours and sharing a behind the scenes look into the manufacturing industry. These tours are open to business leaders, parents, students, and the community-at-large. This year, Manufacturing Day corresponds to the launch of the #MadeinSD movement. The San Diego EDC and City of San Diego have partnered together to start a conversation about what it means to be a part of this robust community in San Diego. Eastridge is proud to be a part of the #MadeinSD movement and has been fortunate enough to collaborate with innovative manufacturing companies to develop a program that assists people with transferable skills and assesses whether or not they will excel in the field. The proprietary assessment and introduction to manufacturing program, Gateway to Attaining Technical Experience (GATE), was developed as an innovation solution to help our clients obtain a skilled workforce in the manufacturing sector. Candidates are provided with the opportunity to find enrichment and growth in a rewarding career path, and in return, companies gain the benefit of hiring a talent pool that has demonstrated a higher degree of efficiency, a higher level of quality, and a higher retention rate – all in America’s finest city. Over the years, GATE has helped thousands of people achieve success and many have been provided with opportunities to become manufacturing technicians, engineers, and leads. These people have worked at countless manufacturing companies in San Diego, from start-ups to Fortune 500 firms, who have thrived and made a positive economic impact. Eastridge believes in the importance of the #MadeinSD movement and is excited to join others in celebrating Manufacturing Day 2016.